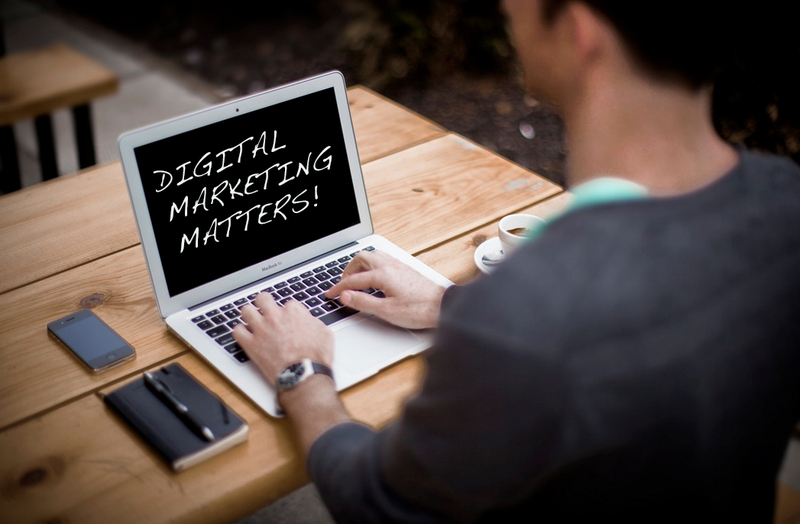 I’ve been asked many times, what is digital marketing and why is it important? Why do I need it? Digital Marketing has also been called Online Marketing or Internet Marketing, but those names don’t encompass every aspect of digital marketing, such as graphic design. Digital Marketing is any marketing service that is performed through a digital channel. Some digital marketing services include: website design, graphic design, copywriting, email marketing, social media marketing, Search Engine Optimization (SEO), Search Engine Marketing (SEM), blogging, online media buying, and web analytics. According to some estimates, over 2 billion people have smartphones. That’s roughly 1/3 of the Earth’s population. They are using those smartphones to connect with brands online. Shouldn’t they be connecting with yours? 2. It‘s where your competitors are. Your competitors are always looking for an edge. Some of them are undoubtedly examining their digital marketing strategies, from their blogs to their social media accounts. Have you ever done a Google search for your competitors? Search for them on social media channels like Facebook, Twitter, Pinterest, Instagram, YouTube, and LinkedIn. You’ll find them there, but that doesn’t mean they are using it effectively. You have the opportunity to use social media to your advantage. If you take the time to learn it, you’ll be ahead of many competitors! With a little guidance, you can grow a strong online audience of brand advocates. 3. People are searching for you. When your clients and potential customers search for you online are they finding you? It’s not enough to have a website. Today’s consumer has moved beyond the standard webpage into the realm of apps, social media, and informative blogs. They are looking for recommendations from influencers, online reviews, and the old standard, word of mouth from friends. 4. Email Marketing is the new “old reliable” – Direct Marketing. Direct Marketing has always had the highest response rate. Originally marketing material was sent through the US Postal Service, aka “snail mail” in the form of magazines with response cards. Now email marketing has replaced physical mail as the dominant delivery system of marketing material and after 20 years, it still retains the highest response rate in digital marketing. Email lists can be either created organically or purchased. I recommend growing a list organically for higher engagement and the best response rate. 5. Social Media Marketing is even MORE Direct. Your customers are on social media. In today’s world, consumers are looking for authenticity and engagement from companies. They crave engagement. You have to be there today. You should have been there yesterday. Consumers want to discover who you really are and to know you are actually listening to their wants and needs. When it’s done right, you can create a vibrant online community around your brand. 6. It’s more cost effective. Rather than hiring an entire marketing team, why not outsource your digital marketing efforts? It’s much less expensive to go with an experienced marketing firm who can create a customized marketing campaign for your business. This allows you to focus on what you do best: Running your company. It’s been said before, “the future is now”. Technology is changing rapidly and consumer behavior is adapting to the new developments. Consumers are making more purchases online every year. Mobile searches are projected to overtake desktop searches in the very near future. Hence, Google’s recent algorithm adjustment to reward businesses with mobile-responsive websites. Digital marketing is here to stay and you need a firm strategy to guide your company into the future. If you have questions about this post or need help with your digital marketing strategy, fill out the form below, or send me an email: Spencer@spencerhudon.com. Don’t forget to find me on Twitter at @SpencerHudonII.